When the time comes to make a major purchase for your home, it's important to educate yourself as a consumer so that you can take the best decision. Buying a furnace is especially crucial. If you buy the right model, it may serve you faithfully for as long as 30 years. The wrong choice might leave you and your family without heat when you need it most. Here’s a furnace buying guide to help you choose wisely. Before shopping for a furnace, you must first determine the fuel source in your home. Which of the following does your home have? Changing to a furnace that’s powered by a different fuel type than you currently use is possible, but the furnace installation cost will be higher. Talk with a local HVAC contractor to see what makes the most sense for your home. If you have a large home, you will generally need a furnace with high BTU/hr. Use this BTU calculator to figure out the BTUs needed for your furnace. Keep in mind that the BTU number alone does not represent the strength of heat that will be blown into your home (i.e. heat output). That amount is related to the AFUE percentage. The ratio of the heat output of a unit to the heat content of the gas supplied is the unit's efficiency or AFUE (annual fuel utilization efficiency). In other words, the higher the AFUE, the more efficient the furnace. These days, a good furnace will have a rating of at least 80% (compared to 60% for older models!). A furnace with a very high energy efficiency rating will have 90% or better; look for the Energy Star label and a Consortium for Energy Efficiency (CEE) rating. An energy-efficient furnace not only helps the environment, but may also qualify for rebates from your utility or regional energy organization. In addition, it will lower your fuel bills substantially. In fact, if you have a 95% AFUE furnace, then for every $100 in your current heating costs, your bill will be reduced about $23. Add that up for the entire winter and you could save a lot of money! A furnace is a major purchase, so be sure to purchase a reputable brand that you know stands for longevity, quality and reliability. Be aware, though, that different models produced by the same manufacturer often vary in quality a great deal. When your HVAC contractor suggests several furnace models for you, do your homework; find out the details and consumer ratings for each one. Most furnaces are oversized. 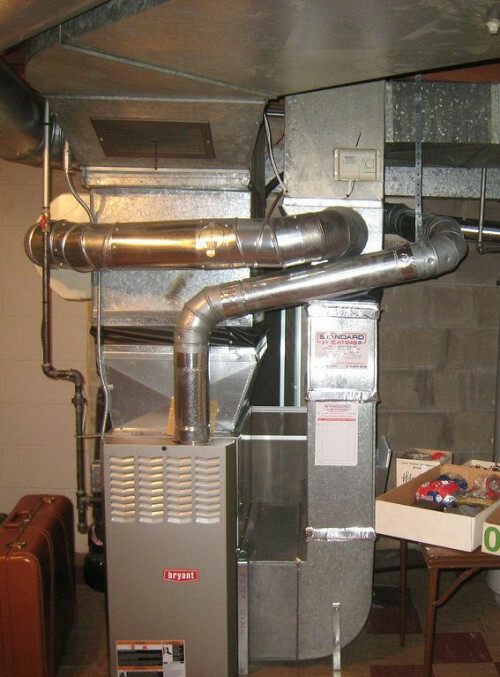 Conduct an ACCA Manual J analysis to make sure a new furnace is properly sized for your square footage and heat-loss levels. Oversized equipment uses excessive energy, is noisy and may wear out faster by cycling on and off frequently. Once you purchase your furnace, you will need to find a reliable HVAC contractor to install it in your home. Make sure the space where the furnace will be installed is properly insulated, with plenty of room for access and airflow. Furnaces come with various dimensions. Measure the space you have available to house the furnace and check that the model you have your eye on will be able to fit. You will also want to be sure that both the furnace itself and the installation labor are covered by appropriate warranties. Usually the manufacturer issues two warranties – one for the heat exchanger (normally 20 year to lifetime limited warranty) and a second for the main components (1-10 year limited warranty).